My first impressions were good. I had a few teammates roll their eyes at the “rising sun” design that smacked of clichéd Eastern martial arts mysticism, but I liked it. The black-on-black design was nice and subtle, but I can see how the red-and-white soaring eagle (or is it a Peregrine Falcon?) and Kanji could turn some people off. Overall, the aesthetics didn’t let me down. Let me preface this by saying that I personally cannot stand short wrist straps. I find it much easier to grab and handle longer straps, especially when you’re in the middle of a tough training session trying to crab-claw it into place. That said, I thought the Hayabusa Ikusa’s “patented Dual-X” wrist strap system was one of its shining features. This dual-strap mechanism gives you support from two sides: the interior strap bolsters the glove’s wrist support and stability, while the exterior strap locks everything in place. The interior strap has more of an elastic latex feel, making it highly adjustable to the point where the Ikusa can easily accommodate kids and pencil-wristed punchers. This strap threads through a slit in the wrist and gets Velcro-locked in place, which I initially thought might be tricky to pull off in the heat of training, but I’ve since closed these up with no problems while fully wrapped up, gloved up, and dead tired. Another benefit of this dual strap system is that it makes cleaning the glove much easier. If you untuck both straps, you can really open this glove up, which makes it easy to slip “glove dogs” or deodorizers in place. 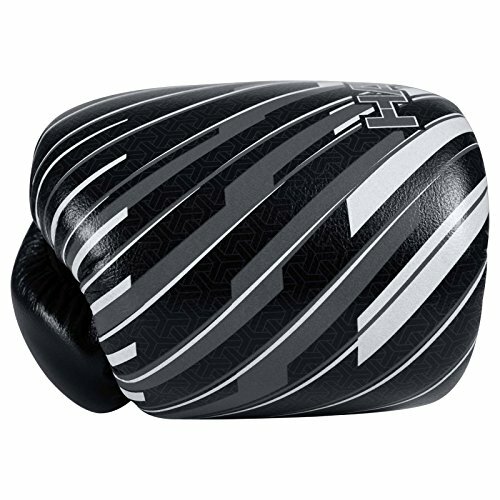 As I mentioned above, this glove’s wrist strap style really lets you take a good look inside, which allows you to fully appreciate its interior design. The interior lining is smooth, comfortable, and wicks away moisture. The feel is somehow reminiscent of the Ringside IMF Tech glove, which definitely isn’t a bad thing. After 4+ years of use, abuse, and deodorizer neglect, I can honestly say that these gloves don’t smell too badly. There’s some funk, but it’s nothing like what I’ve come to expect from my Grants and Cleto Reyes. This glove also has a hardy “grip bar” inside, which is something I look for in a glove. I don’t like squeezing a handful of unformed leather. This grip feels good in my hand, without being big enough to pose a problem when I’ve got a heavy-duty wrap on. The Hayabusa Ikusa has a specially engineered leather exterior that I would judge to be of very high quality. You can see the grains in the leather: it’s thick, durable, and has withstood the test of time (and trauma!). Other than some “bunching” towards the pinky side of the glove, the leather exterior is still in great condition despite being treated to countless rounds and gallons of sweat. Whether you like the logos or not is ultimately up to you, but I can say objectively that mine have held up very well. There’s a bit of wear and scuffing from years of heavy use, but much less than I’d expect given the beating I put on these gloves. These gloves also have excellent ventilation. You can see the holes cut around the palm and thumb. The wrist is also a huge ventilation point. I’ve sometimes felt a bit of a sauna effect with other boxing gloves, but never with these. The tagline you’ll read about these gloves is that they’ve been “scientifically engineered to help you get the most out of your sparring sessions.” These are definitely sparring gloves. Thanks to their mix of EVA and Latex foam, they have a kind of forgiving density that is protective for both partners. That said, these also make excellent bag gloves. Of course, their weight makes them less than ideal for speed work. But if I’m stranded at the gym without tape or wraps, I rely on these gloves to get me through impact work. Unwrapped work isn’t something I’d ever recommend, but if you’re in a pinch, these gloves are an excellent option; the grip bar, dense foam, and rock-solid wrist support give you the three critical things a wrap provide, after all. The padding is mostly concentrated at the punching surface and along the thumb, but these aren’t “front heavy” like some other gloves I’ve used. 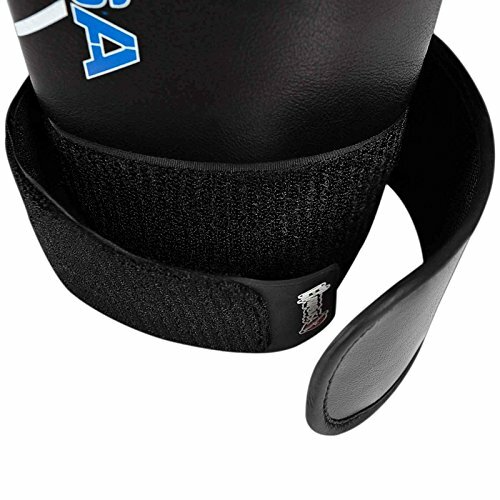 The “Dual-X” wrist closure probably goes a long way towards distributing the weight evenly. This makes them rather endurance-friendly compared to other 16oz options. 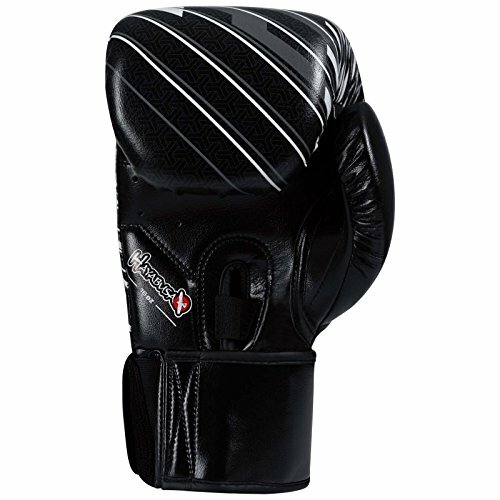 These gloves aren’t ideal for Muay Thai or Sanshou training, which surprised me. 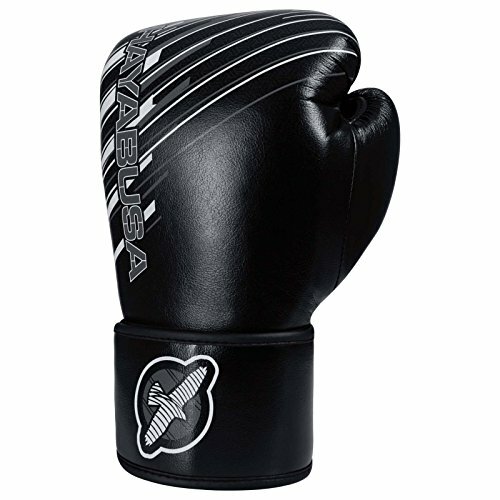 The bulky boxing-style thumb seemed a little out of place on an MMA company’s glove. It’s a little bulbous and cumbersome when you’re working in the clinch. Finally, a word to fighters and competitors: as with any 16oz glove, you have to be mindful of the extra reach you’re getting when you’re sparring in these. Wearing the Hayabusa Ikusa gloves gives you an appreciable inch or two of added reach, and you need to be mindful of this as you transition from sparring to competition. 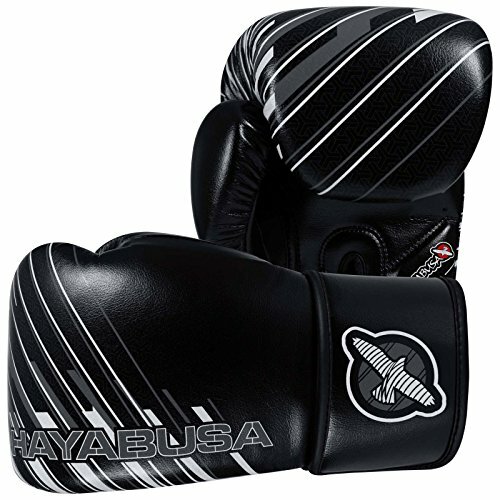 The Hayabusa Ikusas are a high-quality pair of boxing-oriented MMA gloves. These gloves are easy to take on and off, even in the heat of training. They are remarkably well-balanced for a 16oz glove, and have withstood the test of time and trauma after 4+ years of intense boxing and MMA training with little wear to show for it. EVA and Latex foam protection, high-quality leather, a moisture-wicking interior, and the Dual-X wrist strap mechanism combine to offer superior protection for striking work, though the bulbous boxing-style thumb may make clinching a bit uncomfortable. Pricing is above average, but in this case you get what you pay for. Brandon purchased this pair of Hayabusa Ikusa gloves himself for the full price. This did not influence the outcome of this review. I fight like E. Hemingway and write like E. Holyfield. Rigorous testing, honest reviews. Comment from discussion Hayabusa Ikusa Boxing Gloves Review by Brandon Rea.